Wow ! 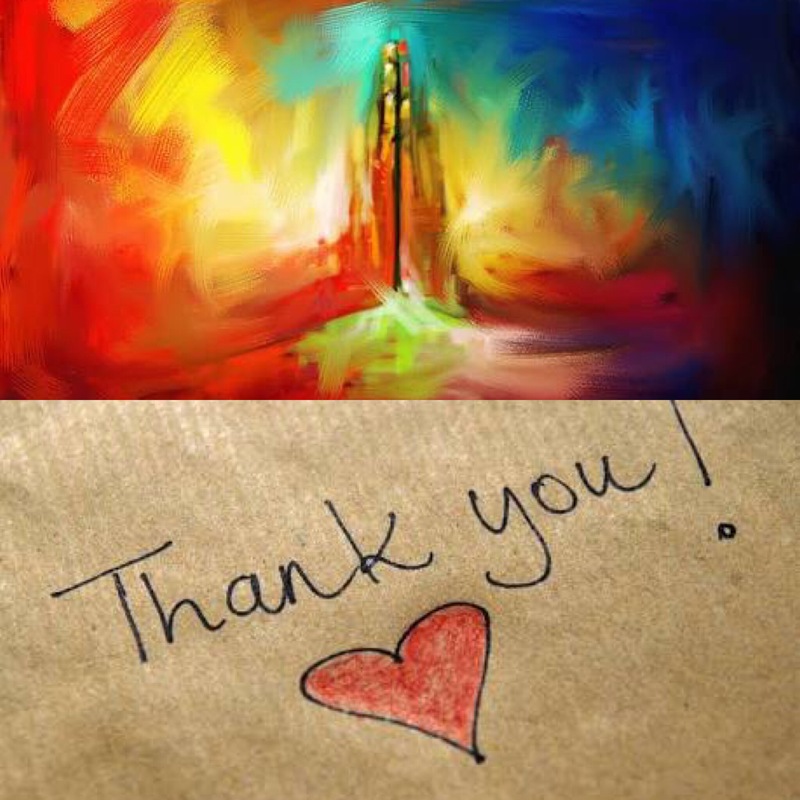 Back again to Christmas Greetings – thank you all for your support, smiles, laughter and friendship over the year and sharing your yoga journey at Whispered Secrets. If you’d like to purchase online please email me: whisperedsecretsyoga@gmail.com and I’ll email back bank details. Please note this offer finishes on December 31st. GIFT VOUCHERS are available for classes or Reiki & Crystal Healing Sessions. The full timetable will resume on Monday 15 January and the last classes for the year Thursday 21 December. Firstly a reminder that our 6 week Beginners Yoga Course with Sarah Dunning is starting this month on Wednesday 18 October 6.00 – 7.00pm. Sarah will guide you step by step through the yoga basics. The course includes: basic poses, flow, restorative and breath guidance. 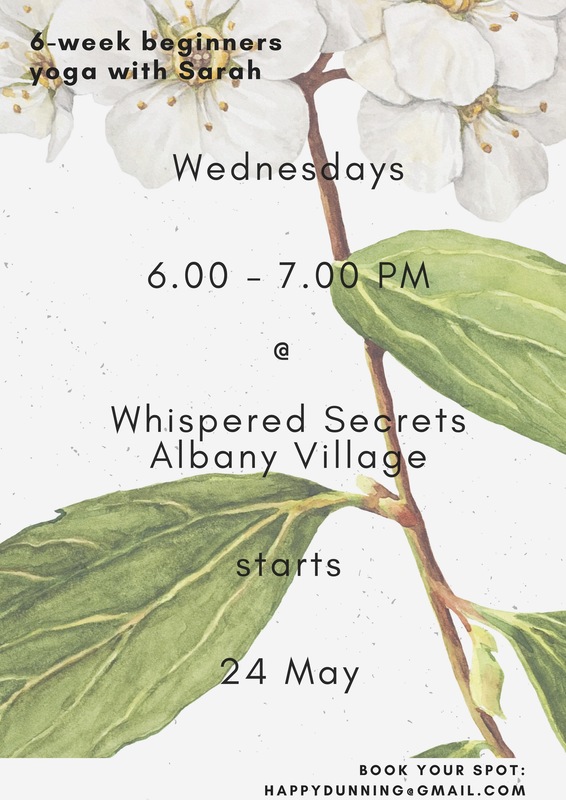 There are still some spaces available if you haven’t booked yet – please email: whisperedsecretsyoga@gmail.com to book your space. Cost: $120.00. We have 5 Aerial Yoga classes running a week now at Whispered Secrets. A session that can be challenging, restorative, supportive and fun! As the classes are limited to just 3 people this is like a personal training session for just $25. Let me know if you are keen to try the anti-gravity experience. Whisperweaves is my online Etsy shop 🙂 and am slowly adding items to it so that I can now sell to a wider audience and offer easy home shopping. Lots of new designs are in progress so do check it out or visit us at the studio shop. If you are keen to try your hand at beading/macrame – I am taking bookings for another Beading Day. Spaces are limited to just 5 people per session. Date TBA. We now include Crystal Grids and Layouts as part of the Thursday 6pm Stretch & Release class. A lovely way to familiarise yourself with different types of crystals and to experience their healing properties. Here’s to summer warmth arriving soon. Spring is here – yippee and we are kicking it off with a wonderful healing, restorative class with Sarah Dunning this coming Sunday 10 September 10.00 – 11.30am. Let your mind and body switch off with some beautifully supported asanas to release those winter knots and stiffness. Followed with mugs of warming homemade chai for some extra nurturing. If you haven’t done a class with Sarah yet I encourage you to take this opportunity – she’s awesome. We do need to know numbers in advance so please book your space: whisperedsecretsyoga@gmail.com. The cost: $30. I have a great selection of crystal points, pendants, findings and beads to start you on your creative journey. Bead, Weave or Knot and create your own design bracelet, Mala, pendant or necklace. Cost is $50 per person plus the cost of beads or findings you choose on the day. Students are re-booking for Sarah Dunnings’ 6 week Beginners Yoga Course so the dates are coming out nice and early. Starting Wednesday 18 October 6.00 – 7.00pm. The perfect starting point for anyone interested in taking the Yoga Journey. Sarah will cover the yoga essentials: breath, standing poses, twists, restorative and yin yoga and of course- relaxation. Looking after the environment and your home with safe, natural cleaners. These products are fantastic. I started with the On Guard toothpaste ($14 tube) first and my last visit to the hygienist was a breeze – in and out in half an hour and lots of compliments! Phew! Now I’ve added the DoTerra On Guard Cleaner Concentrate ($24 bottle) and love it for floors, bench top, shower, mirrors and glass. Plus it smells good and the bottle lasts for ages. I add it to a spray bottle with 1/4 cup white vinegar, 2/3 cap On Guard concentrate, a dash of washing up liquid and top up with water. Next on my list is the Laundry Detergent – 1 Tablespoon for One Wash Load and the Foaming Hand Wash.
So… What’s in On Guard? It is a blend of Certified Pure Therapeutic Grade essential oils: Wild Orange, Clove Bud, Cinnamon Bark, Eucalyptus and Rosemary. Wild Orange: anti-bacterial, anti-fungal, anti-depressant and antiseptic. A powerful disinfectant. Clove Bud: antibacterial, anti fungal, anti-infectious, antiparasitic, strong antiseptic, anti-viral and immune stimulant. Cinnamon Bark: powerful purifier, powerful oxygenator, enhances the action and activity of other oils. It may have a stimulating and toning effect on the whole body especially the circulatory system. Also anti-bacterial, anti fungal, anti-infectious, anti-inflammatory, antimicrobial, antiparasitic, antiseptic, antispasmodic, anti-viral, astringent, immune stimulat, sexual stimulant and warming. Eucalyptus Radiata: anti-viral, antibacterial, anticatarrhal and antiseptic. Rosemary: may help heart function, energise the solar plexus and reduce mental fatigue. May improve circulation and help stimulate the nerves. Antiseptic and anti-infectious. The toothpaste also contains Myrrh and Peppermint. It is flouride free with a cinnamon-mint mixed with xylitol for fresh and clean breath and toothbrush. Myrrh: has antiseptic properties and is used to support healthy gums and mouth tissues. Peppermint: contains high levels of menthol which is known for its ability to inhibit bacteria known to cause dental cavities. Check out the products at the studio. I have some in stock and can always place orders. We have some great things lined up to warm up your winter and I am including a few essential oil recipes to stave off the winter bugs and boost the immune system plus a whipped body butter recipe. Also as we can never have enough! – my current favourite bliss ball recipe. A Sunday restorative with homemade chai (and recipes shared). Winter is a time to restore and renew the body. A carefully curated restorative sequence will set your muscles and joints at ease, and after savasana we’ll share warming mugs of homemade chai. I decided to add Rosehip Oil which gave it a nice warm colour. Have the temperature of the butter and oil at a nice soft consistency – not melted. Add them to a bowl and mix with a hand mixer for about 3-5 minutes until it whips up to nice soft fluffy peaks. Add your essential oils of choice at this point and whip them in. Scoop your light, whipped and fluffy body butter into an airtight container. Keep in a cool place (not the fridge!) and it should last for up to 9 months. Essential Oils provide a safe and effective way to support our immune system, relieve allergies, muscle aches and pains, lift our mood and energy levels, help with sleep, stress, digestion, skin, breathing plus provide a chemical free, non-toxic way to clean and disinfect. Pure Therapeutic Grade Essential Oils are 50-70 times more powerful than herbs because they are highly concentrated. For example; one drop of peppermint essential oil is equivalent to 28 cups of peppermint tea. And of course they smell divine. Essential oils can destroy harmful bacteria and viruses whilst providing immune support at the same time. Diffusing oils into the air is a great way to receive their health benefits whilst cleansing and purifying your environment from airborne bacteria. Lemon essential oil has be shown to neutralise typhoid, diphtheria and pneumonia bacteria in less than 3 hours! (Ref: Chrissie Wildwood – The Encyclopedia of Aromatherapy). This recipe is a potent combo to help knock those flu symptoms on the head. So easy with a roll on bottle: massage the oil into the soles of the feet and rub on the chest at the first signs of symptoms. Hold under nose, or use a towel to tent yourself in, and inhale the vapors. Scientific research has shown that cold/flu viruses are very susceptible to steam inhalation. Join us on a Friday morning where we work with 5-7 different oils during the yoga session. This nurturing, mellow class finishes with either a head or foot massage during savasana to float you into your weekend. Essential Oil Know How and D.I.Y Deodorants. These on-going workshops are to support and empower you to take care of your own health needs with simple and effective Essential Oil Solutions and they are FREE. Just the cost of anything you decide to take home. 1 cup dates – pitted and soaked in warm water if dry. Medjool dates are my favourite! Pulse dates in a food processor or blender until they are in small pieces, or form a ball. Add oats, chocolate, chia seeds, peanut butter and pulse or mix until combined with nice small pieces still in the mix. Roll into 1 inch balls and pop into the fridge or freezer to set. They will keep for up to a week. I like to keep mine in the freezer. These are from The Oh She Glows Cookbook by Angela Liddon. They are gluten-free, oil free, raw/no bake, soy free, refined sugar free, nut free option. You could bake them though if you wish. Line a 9 inch square cake pan with two pieces of parchment paper – one going each way. In a large bowl combine oats, rice crisp cereal, hemp seeds, sunflower seeds, coconut, sesame seeds, chia seeds,cinnamon, sea salt and mix. In a small saucepan, stir together the brown rice syrup and peanut butter until well combined. Cook over a medium heat until mixture softens an bubbles slightly, then remove the pan from the heat and stir in the vanilla. Pour the peanut butter mixture over the oat mixture using a spatula. Stir well with a large metal spoon until all the oats and cereal are coated in the wet mixture. The mixture will be thick and difficult to stir. Allow the mixture to cool slightly before adding the chocolate chips. Transfer the mixture to the prepared pan, spreading it into an even layer. Lightly wet your hands and press down firmly on the mixture to even it out to make it compact and hold together. Place the pan in the freezer, uncovered, and chill for 10 minutes or until firm. Lift the oat square out of the pan, using the parchment paper as handles and place on a cutting board. Cut into bars – makes 12 bars. Wrap the bars individually in plastic wrap or foil and store in an airtight container in fridge for up to 2 weeks. Or store in the freezer for up to one month. Oops we seemed to have slipped into May already! I trust some of what we have lined up at the studio this month will bring some space for inspiration and reflection. The silks also provide wonderful support for yin and restorative yoga, great core work…… and cocooned savasana – awesome! Private sessions (midday or early afternoon) are available for groups of 2 or 3 people at a cost of $25/person, or use your concession card plus $5. Let me know if you are interested and I’ll co-ordinate people and times. This session is to unwind the knots, release tension and restore balance in a restorative yin practice on a Shakti Mat – an acupressure mat designed to relax the body and calm the mind. Add some beautiful DoTerra Essential Oils and drift away. Mats are available for purchase at $69 each. Come and experience receiving and giving Energy Healing and tune in to the innate healing potential that lies within us all. This session is perfect for those wanting to practice their Reiki/Healing skills and for those that are interested in knowing more but not sure where to begin. $120 for the 6 week block and a great opportunity to start where you are at, breathe and enjoy a slow paced journey through the yoga postures. It’s fun to create your own essential oil perfume which smells good and supports your emotional and physical needs. Here are a few guidelines to follow. I like to keep the number of oils I use to three maybe four. This allows for each essential oils’ healing properties to come through. Essential Oils entice us with their aromas and these are characterised as notes. These are the underlying scents that will come through after a few minutes of applying the blend and will linger longer than the lighter scents. They are your rich, warming earthy oils such as Frankincense, Vetiver, Vanilla. These are also called the heart notes and constitute the main body of the blend. They harmonise and balance out the combination of oils. In this range we find Lavender, Geranium, Fir, Cypress, Peppermint, Thyme. Some oils such as Ylang Ylang and Clary Sage are middle to base notes. These are the scents that we notice first and will diffuse quickly. They are light, uplifting and add harmony to the blend. In the top note range we have the citrus oils such as Wild Orange, Bergamot, Lemon. Putting them all together using a 10ml roll on bottle. For a therapeutic blend a 10% dilution would be appropriate. 30 drops plus carrier oil in a 10ml bottle. A 5% dilution of 15 drops plus carrier oil in a 10ml bottle is perfect to enjoy your essential oils daily. For children, sensitive people, or the elderly a 1% dilution of 3 drops plus carrier oil in a 10ml bottle would be sufficient. Add the essential oils to your bottle first. Let’s work with 15 drops (5% dilution) with one of my favourite blends I call Liquid Gold with Vetiver, Lavender and Wild Orange. I also call this my discombobulated blend for when you feel you are being pulled in too many directions and you just need to stop and reconnect. Starting with the base the underlying scent which is Vetiver: 5 drops. Lavender is my middle note: 5 drops soft and harmonising. Wild Orange is my top note: 5 drops to lift and balance out the rich, heavy Vetiver. Top up the bottle with a carrier oil such as almond oil, jojoba or fractionated coconut oil. A carrier oil helps to spread the oil into the skin. I have roll on bottles and fractionated coconut oil in stock. Blends can be made to order @ $20 each. I am regularly placing orders and am happy to add in your requests. If you are wanting to have a good basic range of Therapeutic Blend Essential Oils at hand then opting for one of the DoTerra Essentials Kit is a great saving as it supplies you with 10 Essential Oils including Frankincense (normally about $100/bottle!). With your own account you get wholesale pricing – ability to order as and when you wish. Plus I have recently completed the AromaTouch training and am offering a free AromaTouch session for anyone purchasing one of the Essential Oil Kits this month. Receive a FREE AromaTouch Treatment (treatment normally $65.00) which utilises 8 individual Essential Oils to reduce stress, enhance immune function, decrease inflammation and balance the autonomic nervous system. A gentle massage to nurture, restore and renew – Divine !! And of course if you just want to bliss out in AromaTouch – Yay !:)! – just book in an appointment. The year is moving forward and it’s great to see you all in class 🙂 smiling, moving, breathing and some even flying! We have moved the start date for the Wednesday 6 week Beginners Yoga Course to Wednesday 15 March. The perfect class to discover Yoga for you – bendy or not! 6 week course is $120.00. The ultimate Shakti mat experience is here. Join Annie and delight in those wonderful little acupressure discs – a class for undoing. This is a one-off session and you can use your concession cards. You will need to have your own Shakti mat which we have in stock @ $69 each. Essential Oils are definitely trending at the moment. Think Plant Medicine – herbs and plants have been used for thousands of years for their medicinal properties such as anti-inflammatory, anti-fungal, anti-bacterial, antiseptic, antiviral, antioxidant, pain relief and much more. So simple and so effective yet they have been pushed aside in preference for synthetic drugs despite the negative side effects of pharmaceuticals. This move back to ancient wisdom provides us with a way to work along side modern day medicine in a natural and holistic way. However, it is important to know that to use essential oils as a path to wellness that they must be pure, unadulterated and Certified Therapeutic Grade Essential Oils. Certified Therapeutic Grade Essential Oils ensures that the oils are SAFE, POTENT, PURE with no added chemicals or synthetics and are produced through proper extraction and distillation of plants grown and harvested in the optimal native environment. For these reasons I choose to work with the DoTerra range of essential oils. DoTerra essential oils undergo third party testing to ensure each oil has the correct constituents for its’ expected medicinal properties. Not all essential oils are equal and even ones labeled pure may have been overly processed and therefore lose their beneficial properties. Having worked with essential oils for years the difference with DoTerra oils is amazing – they smell divine, are light, pure and quickly absorbed. The oils can be used topically, aromatically and some even internally. There are so many oils and so many ways we can use them that it can be quite overwhelming to begin with. Start simply and get familiar with the ones you are drawn to. The following four essential oils make up a great First Aid Kit. Lavender, Lemon, Peppermint and Tea Tree between them sort out cuts and scrapes, burns, insomnia, muscle aches and pains, sore joints, stress, cleanse the air, cleanse the body, lift the mood, relieve headaches, clear the airways, create an uplifting atmosphere and provide solutions at your fingertips for many common ailments. You can even add a drop of Lemon essential oil to a glass of water and drink for healthy liver and kidney function. Or try a drop Peppermint for a pick-me up and to help with digestion and sinus conditions. Essential Oils are extremely concentrated and potent – a little goes a long way. Diluting them in a carrier oil such as almond or coconut oil helps the body to absorb them. I will be putting together some interactive, hands on Essential Oil workshops to help you understand how you can incorporate Essential Oils into your daily life, enhance your health, create natural remedies:- ointments, creams, diffuser blends and chemical free cleaning products. You can also book One on One Consultations. Follow the instructions and it will link you straight to the DoTerra site where you can check out the oils, recipes and articles, shop and place your own order if you wish. For now here is a DoTerra recipe for Bliss Balls – nice and easy to make. I substitute the Wild Orange Essential Oil with Lemon E.O. – equally delicious and as I didn’t have cranberries the first time I made them I used sliced almonds which makes them crunchy which I like – so cranberries still haven’t made it into the recipe! I keep my bliss balls in the freezer – yummmmm. Keep aside 1/2 of the coconut. Place all the other ingredients in a bowl and mix together. Roll into balls and then roll into the leftover coconut. Cool in the fridge or freezer and ENJOY ! Welcome back 🙂 and Thank You for the awesome bag of Xmas gifts. I hope you have all had a good holiday and feel rejuvenated and ready for the year ahead. I have lots of exciting ideas to share with you already. Follow the blog: whisperedsecretsyoga.com – or the Whispered Secrets Facebook page to keep yourself updated with news and events. So we will have 3 silks to use as options in the smaller classes and of course one-on-one sessions for those that are as excited as I am with Aerial Yoga. Sarah Dunning will be guiding students through this series – a perfect place to start your yoga journey. Does it matter that you can’t touch your toes or have no yoga experience? Absolutely not! Connect with your body, breath and inner smile. It was a Shakti Mat December and I have decided that these delightful prickly mats provide the perfect foundation for an hour Shakti Acupressure Mat session aimed at releasing muscle tension and tightness allowing muscle relaxation and pain relief, improving circulation, connecting with the breath and surrendering into stillness. The class will also incorporate breath work, mudras and essential oils. The Shakti Mats come in 3 levels of intensity. The Shakti Acupressure mats provide a therapeutic treatment stimulating acupressure points to encourage healing in the body and providing relief from stress, insomnia, muscle tightness, back pain and headaches. As the circulation is stimulated through lying on the Shakti mat warmth and heat flows into the muscles helping to flush out toxins. The body responds by releasing endorphins (they make you feel good) which relax the muscles and create a sense of calm. People who would benefit from this class would be anyone nursing injuries which restrict their movement, those that need to rest and restore rather than ‘do’ and to be honest – pretty much everyone would benefit. You will need to bring your own Shakti mat – you can place an order with me. They cost $69.00 each. Our full schedule of classes start back on Tuesday 7 February. Please note that there will be no yoga classes on Monday 6 February. Love to hear your requests and feedback. a 10% discount on all concession cards purchased before December 31st. We already have events lined up for 2017 – yippee!! We had a wonderful session with Shailendra a few years ago. This workshop will be a great opportunity to delve into yoga beyond the poses and to learn effective meditational techniques. You’ll love your sessions with Sarah – a wonderful teacher to start you on your Yoga Journey. Spaces are limited so do book yourself in early. Email:happy dunning@gmail.com And why not find a Yoga Buddy to share the experience? A warm welcome to December and the beginning of the festive season. Our Christmas lunch is booked for Friday 9 December 11.30am @ the Black Cottage, Coatesville – please book your spot if you haven’t done so already. I have more crystals and gifts in the shop to help you sort out your Christmas presents. Loving the new Fire Bowl salt lamps – limited stock but can easily order more in if needed. This will be the easiest beading day ever!! All my beads, findings and pendants will be at the studio giving you plenty of choice to create your own personalized bracelets. I can help you with crystal combinations and their healing properties. Then I’ll show you how to simply and quickly thread them onto strong elastic cord to wrap, stack or layer as you wish. Pay for what you Make and Take. New to the studio is this awesome range of essential oils – with a quality far superior to any essential oils I have used in the past. As with yoga and working with crystals – essential oils work on many levels. The mind, body and emotions are all linked and through the use of crystals, essential oils and the practice of yoga we can start to bring ourselves into balance and harmony – not only on a physical level but mentally, spiritually and emotionally. You will find yourself attracted to the oil that is most suited to your needs just as a crystal will twinkle at you, or you are drawn to wear a certain colour of clothing. Essential oils are concentrated, potent (a single drop of peppermint oil is equal to 28 cups of peppermint tea) and highly effective tools to use daily and with such beautiful scents – a divine way to health and wellness. Add 2 drops each of Lavender, Lemon and Peppermint essential oil to 1/2oz warm water. Gargle and then swallow. Add 2-3 drops of Lemon essential oil into the palm and massage on swelling joints to encourage lymphatic flow. Apply drops of the On Guard Blend to the soles of the feet daily to support immune function and to protect against flu and other illnesses. Disperse the oil into the air with diffuser. As I write this I have On Guard going in the diffuser to keep away the flies and bugs. The Friday 9.30am class is now an Aroma Yoga class where we bring in different oils through the session and finishes with either a neck/head, or foot, massage to take you deeply into relaxation. A great way to experience the oils’ therapeutic qualities and to discover the ones that resonate with you. You can order DoTerra oils through me and I can also make up Roll On essential oil blends for you. We also have Essential Oil Kits in stock. Family Physican Kit with 10 x 5ml bottles: Lavender, Lemon, Peppermint, Melaleuca, Oregano, Frankincense, Deep Blue, Easy Air, Digestzen and On Guard. This is your top 10 of essential oils that will be your Go To – First Aid Kit for cuts n scrapes, immune boost against flus & colds, mood enhancing, aches and pains and much more. This kit comes with a free Smart & Sassy Blend and gives you access to the DoTerra website so that you can order for yourself as and when you please. These 2 crystals are in the shop along with the Citrine (abundance, prosperity, happiness and awareness) point $43.00 each. Last Yoga Class for the year is Friday 23 Dec 9.30am Aroma Yoga Class.